← Are Low Carb Diets Bad for You? £14.99 on Amazon.co.uk – worth the investment? The majority of research suggests that point 1. is ineffective, however strengthening respiratory muscles with some form of a resisted-breathing-apparatus has been shown to be of benefit to athletes as well as those with lung issues such as asthma. Your body probably isn’t going to produce more red blood cells if you only wear the training masks for a few hours per week. In theory it could actually reduce the amount you produce, by lowering your training intensity i.e. how hard you are able to work in a training session. You could try wearing the training mask all day and night; just take it off before training. This still might not work however, as I’m not sure the mask has the ability to reduce oxygen intake when you are at rest – I think (not sure, please correct me here) the mask only limits oxygen intake when you are training, when the oxygen demands are much higher. Going back in time to 2004, whilst in university, we covered altitude training quite extensively. It may have changed but the consensus was that training a sea-level, whilst living (or sleeping) at altitude was the best way to increase endurance and V02Max. The issue with training at altitude is that it’s not physically possible to maintain a high intensity of training (relative to sea level). If you can run 1500m in 4 minutes at sea level, due to the lack of oxygen, you’d be lucky to do it under 5 minutes at a 2,000m altitude. If you spend a few weeks living up in the mountains however, your body will start to produce more red blood cells to compensate for the lack of oxygen in the air at heights above 2,000m. Take yourself and your extra red blood cells back to sea level and you should be able to set a new PB for the 1500m; assuming everything else has remained equal. The additional red blood cells will allow your body to transport more oxygen to the working muscles in a given time period. Training at sea level, and then returning to altitude, will mean that your body can adapt to the altitude and produce more red blood cells, and you can still develop other aspects of fitness including muscular endurance whilst training at sea level. Training masks, simulate altitude, to a certain extent in that they reduce the amount of oxygen that your body takes in and can utilise. However, unless you wear the mask all day, and then take it off when you train, you’ll never create the optimum – “Live High, Train Low” protocol that makes altitude training effective. You’re doing the opposite – i.e. “living Low, Training High”. If you put the mask on during training, you are restricting the amount of oxygen for an few hours a week only. This is not an effective way to get the body to adapt and produce more red blood cells. The body probably (almost definitely) won’t do this, as you’re spending 23 hours a day in a normal, oxygenated environment. In addition, training with the mask on, will probably make oxygen intake the limiting factor/weakest link in your training session; meaning that other aspects of fitness are unlikely to improve. Resisted breathing devices like an altitude mask, or a Power Breather could strengthen the muscles involved in breathing, and therefore enhance an athlete’s performance/endurance. Much of the research on “respiratory muscle training” is on people with some kind of compromised cardiovascular system, such as those with asthma or Chronic Obstructive Pulmonary Disease. In fact, having read some of the research on respiratory muscle training a decade ago, I invested in a Power Breather for my asthma. The idea was to use it every night, rather than whilst training. A bit like a weight lifting programme, the Power Breather is designed to improve the strength of the diaphragm (and the intercostal muscles) to make more breathing more efficient and therefore more resistant to the impact of asthma. It seems to have worked – but a vague personal anecdote isn’t really a convincing argument for strapping on a gas mask whilst you train. In addition, training to offset asthma is different to training for improving endurance in healthy athletes. There is research for and against training masks, but I couldn’t find any conflicts of interest in the research that supported there use. If you’re still unsure you can do a search on Google Scholar and make your own mind up. Warning – there’s a lot of irrelevant studies to sift through. This study investigated a 6 week intervention utilizing the Elevation Training Mask (ETM) in conjunction with an Intermittent Hypoxic Training (IHT) protocol to promote a hypoxic condition while still training at sea level. – test was then used to determine within group differences. The short and largely home-based IMT *protocol significantly improved inspiratory muscle function in both groups and is an alternative to traditional IMT protocols in this population. Participants in the TFRL group tolerated higher training loads and achieved larger improvements in inspiratory muscle function than those in the MTL group. Conclusion – RMT* improves endurance exercise performance in healthy individuals with greater improvements in less fit individuals and in sports of longer durations. The results imply that in comparison to conventional training methods, combined training with breathing resistance and sustained physical exertion is beneficial for increasing endurance capacity and respiratory muscle function. This result provides important information regarding the effects of the new training method for improving endurance capacity. The results suggest that respiratory muscle endurance training improves cycling performance in fit, experienced cyclists. The relative hyperventilation with no change in respiratory effort sensations suggest that respiratory muscle training allows subjects to tolerate the higher exercise ventilatory response without more dyspnea. Whether or not this can explain the enhanced performance is unknown. 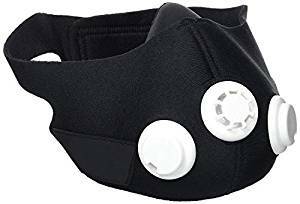 There is definitely some science behind respiratory muscle training, if not specifically the training mask (although it is, a respiratory muscle training device!). If I was a relatively rich elite athlete, I would probably invest in a training mask, an altitude tent and some wim hof breathing! An altitude tent goes on top of your bed, and contains air with less oxygen than normal – simulating high altitude. Bear in mind that there’s also a lot of research suggesting that altitude masks/training masks don’t work too well at all. Like many research topics, the data is not empirical. 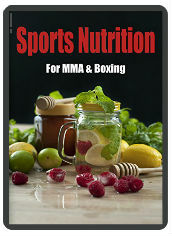 This entry was posted in Fitness, MMA, Nutrition and tagged altitude mask, asthma, endurance, Fitness, marathon, running, training mask, ufc. Bookmark the permalink.